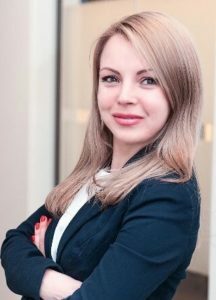 Ms. Polina Neubauer is in charge of „Help Me in Switzerland“ (HMIS). Russian by birth she had lived in Austria before she moved to Switzerland. 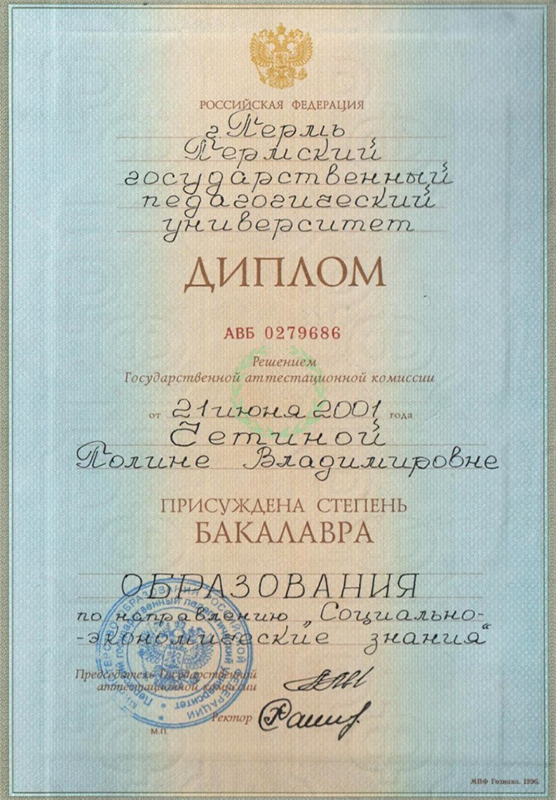 She earned university degrees in Law and Economics both in Switzerland and in Russia. She also shares a huge experience in business founding in Switzerland for foreign citizens. Her knowledge goes further doing full business execution of these companies. She helps foreigners to get Swiss residence and work permit and also supports them in their relocation process. During all the steps mentioned above, she always works in Legal and Economic. Many startups were companies from different branches including financial institutions, restaurant business, IT service companies etc. Because of confidentional agreements it is not possible to share the name of these companies which Polina Neubauer helped to organize their startup process in Switzerland. That is why the project reference scan is not published. Polina Neubauer worked on research projects and she was part of some international conferences. 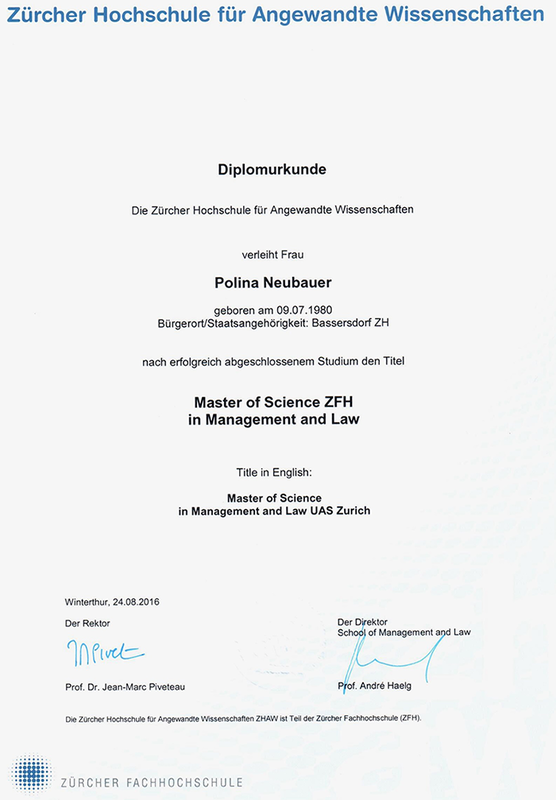 There she presented the following topics: “Swiss and Russian Corporate Law“, „Swiss Corporate Governance for Stock Corporations“, „Swiss Startups for Foreigners and the Migration Issue in Switzerland“, „Swiss and European Labor Law“ and her other scientific projects. 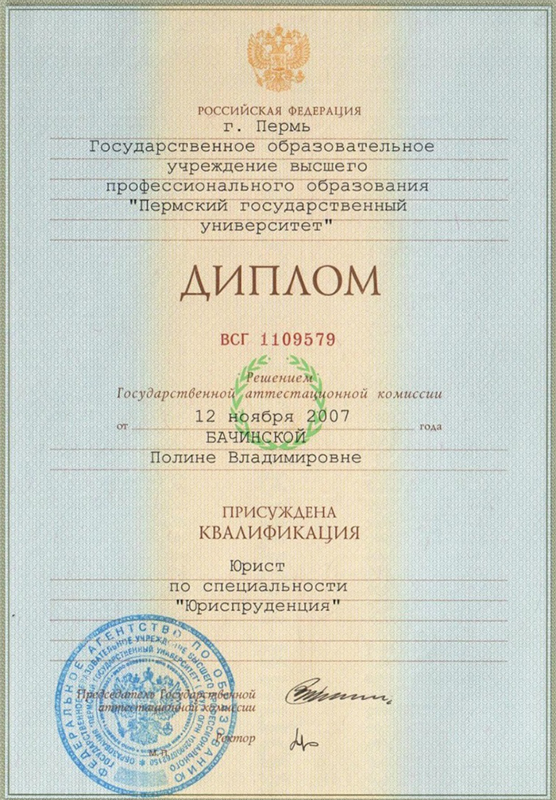 Her research artilce „Recent Development in Russian Civil Procedure“ was published in a legal magazine „DRRZ German-Russian Law Review“, № 1, 2016. UBS Switzerland AG, Credit Suisse (Switzerland) Ltd., CIM Banque AG, Bank Julius Baer & Co. Ltd., HSBC Private Bank (Suisse) SA and other banks, Swisscom AG, Salt Mobile AG etc. © 2016 Help me in Switzerland (HMIS). All rights reserved.